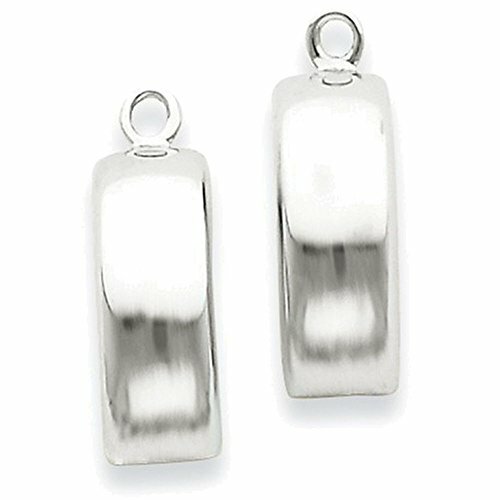 This impressive Finejewelers 14k White Gold Polished Earring Jackets, crafted in 14 kt White Gold . This product measures 5.00 mm wide, 12.00 mm long. GIFT CARD OPTION WILL NOT BE AVAILABLE FOR THIS ITEM! If you have any questions about this product by FJC Finejewelers, contact us by completing and submitting the form below. If you are looking for a specif part number, please include it with your message.